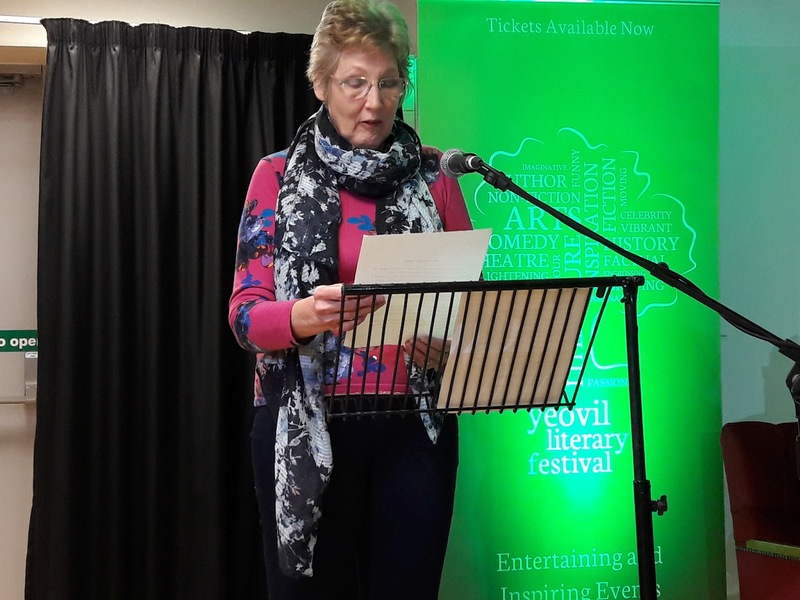 Yeovil Literary Festival – A Writer’s Point of View. In 2014 the first raw draft of Under the Pipal Tree was shortlisted in the Yeovil International Literary Competition. Buoyed by this validation, I banished self-doubt and set to work on the novel. A year of intense revisions and six drafts later it won the Cinnamon Press Debut Novel of the Year 2015 and a publishing contract. 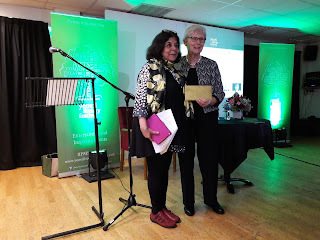 When I informed Liz Pike, Yeovil Literary festival’s charming organiser, about my success, she remembered my story and invited me to talk about my novel at the Past Winners’ Event. I felt privileged to talk about my writing journey from first draft to publication. The events kicked off with a literary dinner where the guest speaker was the lovable Christopher Biggins known fondly as Biggins. Unsurprisingly, he regaled us with his adventures. He has chronicled his life in his memoir, My Story. 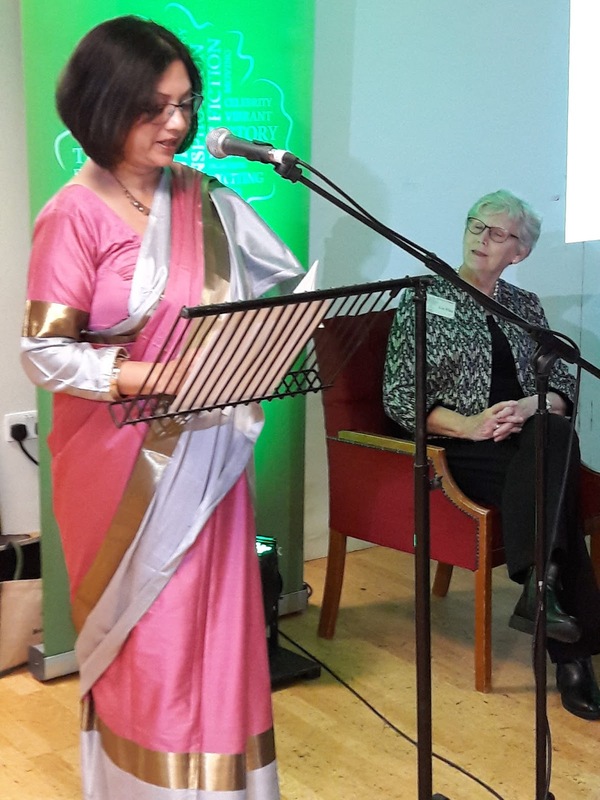 At the Past Winners' Event four writers were invited to read out extracts from their winning piece of work. The air was charged with creativity as each read out moving passages from various literary forms – short stories, a poem and a novel. 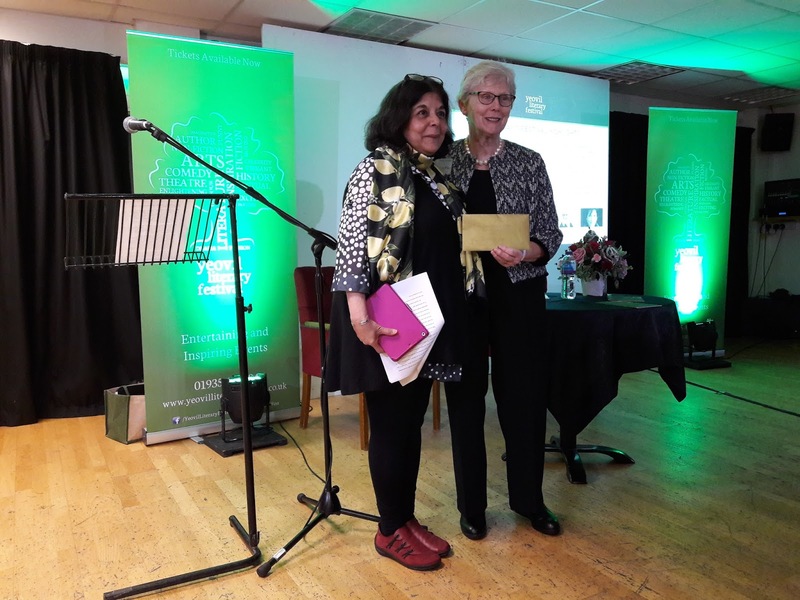 Beena Kamlani, who won First Prize at Yeovil Literary Competition 2017 read a powerful extract from her winning novel manuscript. She had flown in from New York for the occasion. Jez Hodesdon read from his short story, ‘Yannis's dilemma,’ another moving tale. Beryl Brown's short story, How to Pack a Lady’s Suitcase, which won 3rd place in the 2016 Yeovil Prize touched us with its poignancy and humour. She has a Creative Writing Master’s Degree from Manchester Metropolitan University. The novel that formed her dissertation set in a fictional Dorset village at the end of WW2 is currently being submitted to agents. After crystalizing an idea at Yeovil, she has an embryonic project in hand: a contemporary novel in the mystery/thriller genre. Her website is www.berylpbrown.co.uk. Alice Herve shared her poem 'Rain, Mull, August', which won second place in this year's poetry prize. She was short listed and highly commended in the Yeovil novel prize 2014 and is currently seeking representation. 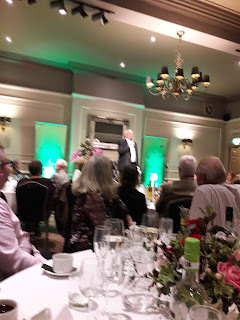 David Young, whose novel won third place in the Yeovil Literary Competition 2014 offered a teaser for his event where he talked about his books, Stasi Child and The Oberlautnant Karin Muller Series 2, set in 1970s communist East Germany. He is known to offer East German food and drinks at his talk! Benevolent rays of autumn sun warmed our souls as we flitted in and out of the auditorium to hear speakers of various backgrounds. 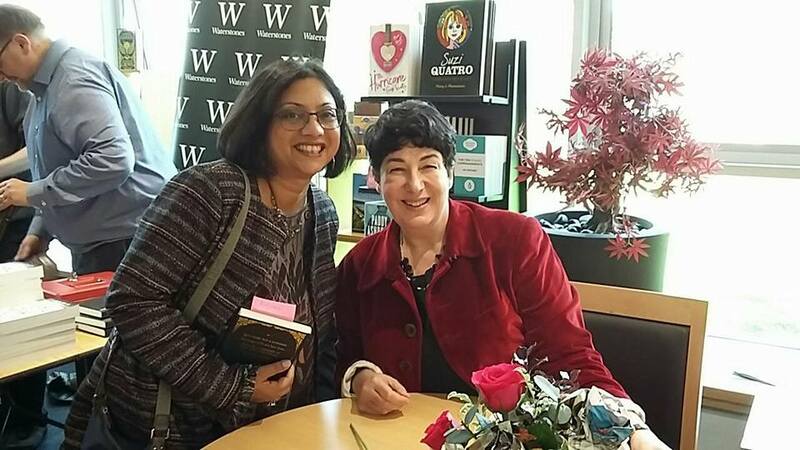 Joanne Harris, the well-known author of Chocolat, discussed her new book, A Pocketful of Crows, a modern fairy-tale inspired by Child’s Ballad 295 about a wild, brown girl. For a moment, I thought she was talking about me! A lover of antiquarian bookshops, Joanne Harris finds books on all things delightfully obscure and transforms them into stories. I found this to be an excellent read and have reviewed it on Amazon. Next up on our list was Michael Portillo, the Conservative politician and former ‘future Prime Minister' turned TV presenter of Great Railway Journeys. From the moment he appeared on stage it was obvious he relishes the role of an entertainer even more than his previous role as a politician. Charming, polished, witty and full of self-deprecating humour, the man laughs at himself and the world. We look forward to his programme on Indian Railways. 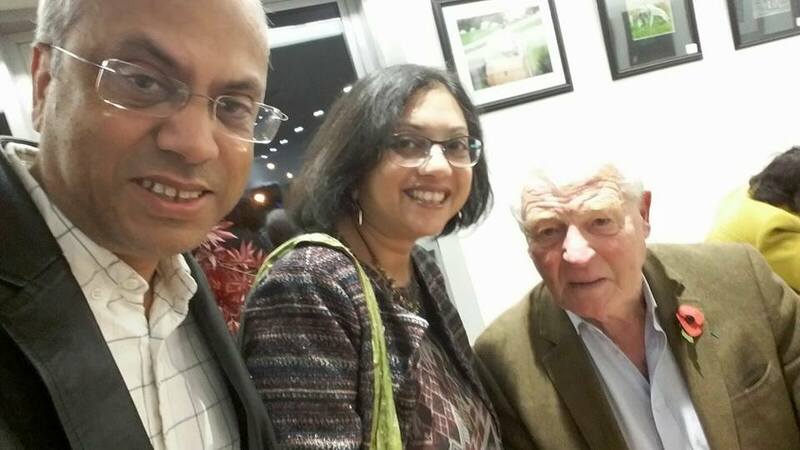 Paddy Ashdown’s talk was a very pleasant surprise. 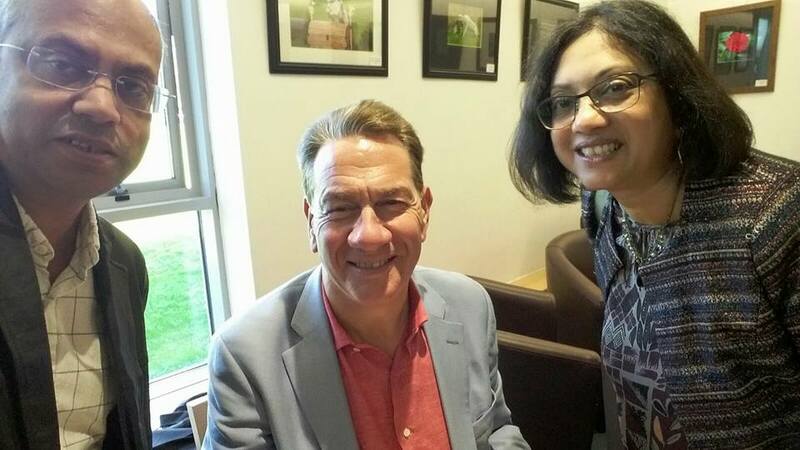 Once the leader of the Lib Dem party, he is now an avid historian. All politicians are at some level interested in history. After all, the political machinations of the past are not so different to the present. He is extremely knowledgeable about espionage during the war years. 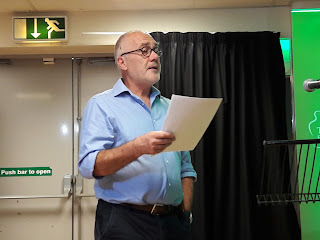 His new book, Game of Spies following three men – a British, French and German, is so enthralling that he needed to assure the audience that the story is based on meticulous research and not fictionalised. 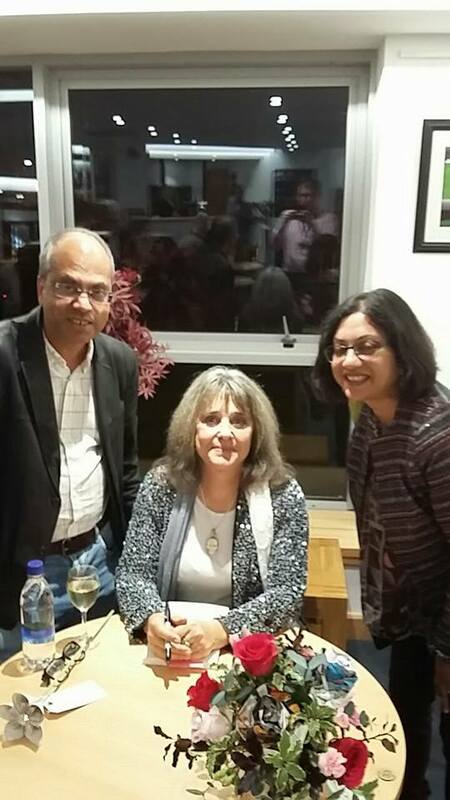 The day ended with Suzi Quatro talking about her poetry and novel. Most of us know her as a 70 s rock star in leather trousers and it was endearing to see a spark of that living on, especially in her silver glitter jacket. The most interesting fact I learnt from her as a writer is how she converts a poem into a song. It’s all in the rhythm apparently. You change the beat and you have a song. It was a fitting finale to a packed day. 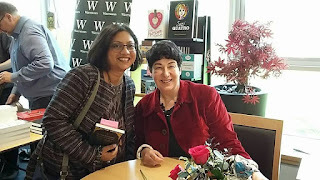 My writing journey started with the Yeovil Competition as it gave me courage to chase my elusive dream of publication. 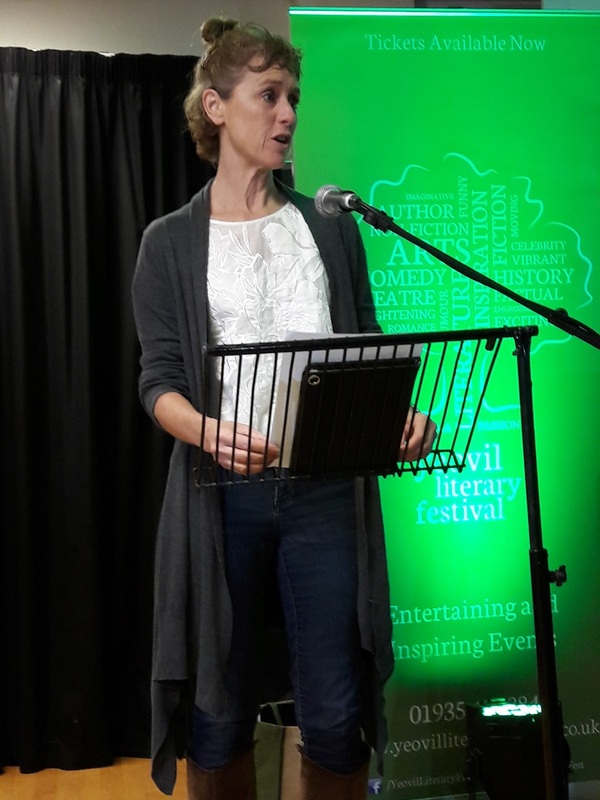 The Yeovil Literary Festival would not happen without the passion and dedication of organisers like Liz Pike and her lovely helpers. Under the Pipal Tree is available on Amazon and Cinnamon Press. You could also order a copy from any bookshop. If you like my book, I would be very grateful for a review on Amazon. Thank you! 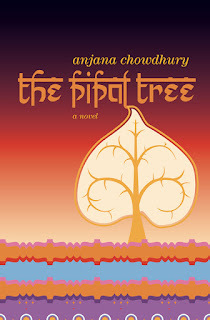 Join Anjana Chowdhury in Grenoble, France, on May 16 from 7-8 pm for the book launch of her debut novel Under the Pipal Tree. Set in India this story is told from the viewpoints of two women who represent the polar ends of society – the affluent and the impoverished. Their stories merge and boundaries are redrawn between a mother, daughter and her childhood nanny. There will be a short reading followed by book signing. Copies of the books will be available on the night at 12 euros each. Cash payments only please. Venue: Salle Polyvalente ‘Les Vignes’, 3 Avenue Marechal Randon. Tram B stop : La Tronche Hopital.